There is one golden rule of sales: selling to returning customers is a heck of a lot easier than selling to new ones. Returning customers, by definition, already know and like your brand, making it easy to entice them with deals and coupons. 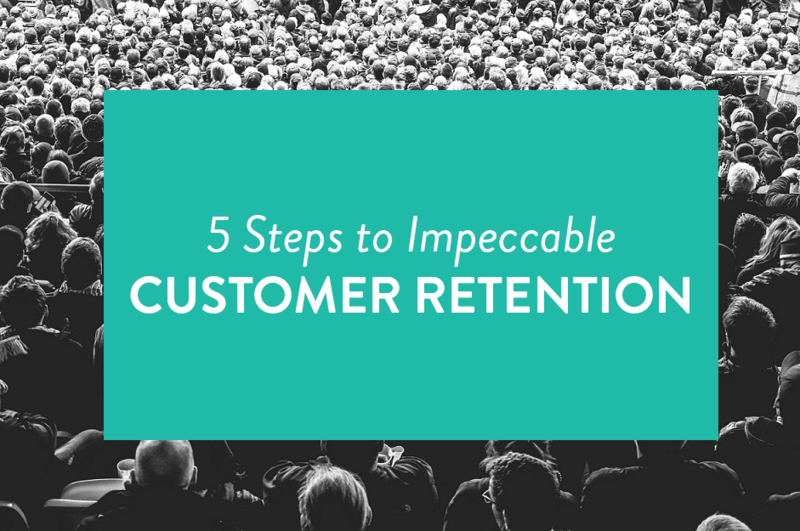 The only way to ensure you have returning customers is by focusing on customer retention. Problem is, it’s difficult to achieve. If someone buys one of your organic goat-milk soaps once, and you never see them again, that’s a bad sign—did they not like the smell of your soap? Did they find a cheaper organic soap somewhere else? Did it give them a rash? You rarely have a way of knowing for sure, which is why you want to eliminate as many of those possibilities before the customer’s transaction even takes place. Ensuring your product or service is of a high quality, your customer-service lines are always open and your price is comparable in the market are all ways to stave off lost customers. Let’s go over some of the best tips one-by-one. This should go without saying, but running a business is being involved in a relationship. If you want your customers to appreciate you, you should start by appreciating them. This starts with the first interaction—your inbound or outbound marketing efforts should entice prospects in a way that encourages them to be curious about your brand. Your website should be as clean as your living room during a dinner party. Once you have a customer in your banks, always keep things personal. Emails are ideal for personalized, tailored communication, particularly with regards to rewards and customer service. Respond to people where they are – whether on social media, a phone call, or live chat and never let your customers feel forgotten. If you’re doing things right, you’ll have your fans tweeting or posting to review sites about your company. (You might even encourage this with a contest giveaway.) You’ll have comments on your Facebook posts and blog articles, if you’re going down that road. The most important thing in social media is to stay engaged. Never forget the “social” part: it’s a conversation, a two-way dialogue. It’s a great platform for customer service, sure, but also marketing and joke-telling. Create a strong personality, stay human, share posts you enjoy, and your audience will be more likely to stay engaged with your brand down the road. When it comes to customer service, data has proven that people value speed more than any other aspect. They have a problem; they want it fixed quickly. Imagine if you just switched Internet providers, but the new network doesn’t work. You’re on the phone with the company, but their call-in waiting time is over an hour, and they only respond to your email after 24 hours. They tell you it will take a few days to solve the problem—and if it doesn’t, you’re back to emailing them and waiting for a response. It doesn’t matter how friendly the customer service is; it matters that it took a week to get online. Offering a prorated discount is a good solution, but the damage has already been done: the experience has been soured. Of course, warmth and courtesy help too. Having a reliable CRM means always having customer data on hand, which can let your customer-service agents digest the customer’s information quickly for a more efficient resolution – all while fostering a personable, friendly experience. The most ironic way to kill your own business leads is by hugging them to death, so to speak. For example, when honing your email marketing strategy, if you’re emailing your customers more than three times a week and your open rates are in the single digits, you’re probably bugging them. That will lead to more unhappy unsubscribers than anything. Space out your social posts, email blasts and other communications evenly, so as not to overload your fans with too much too quickly. Whether it’s coupons, cards or referral bonuses, a strong loyalty system is a must-have for customer retention. Cookies make the heart grow fonder. This is in many ways the crux of customer retention: give them something that makes them want to return. Email coupon codes are ideal for this, particularly when paired with their purchase history. If they just bought your online course, you could email them a code asking how they enjoyed the course, while mentioning an exclusive 20% coupon for your consultation services. A surprise welcome gift can work wonders, too. 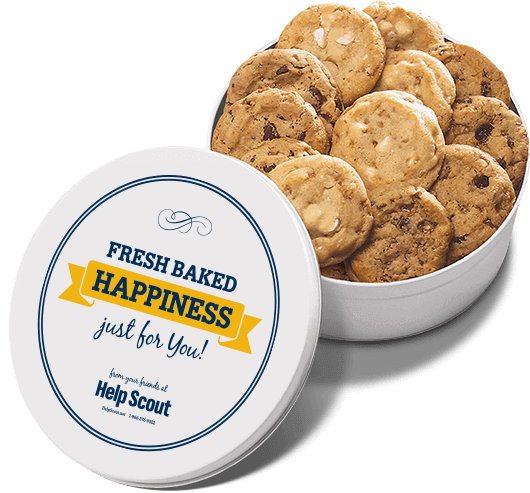 Airbnb sends local gift baskets to new renters; Help Scout has been known to send a tin of cookies; Wufoo sends handwritten thank-you cards to their first customers. These gestures, particularly early on, will resonate in your customers’ minds. They’ll remember it, tweet about it and keep your brand above the rest for years to come.